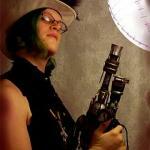 I’m heading to Burning Man again this year. 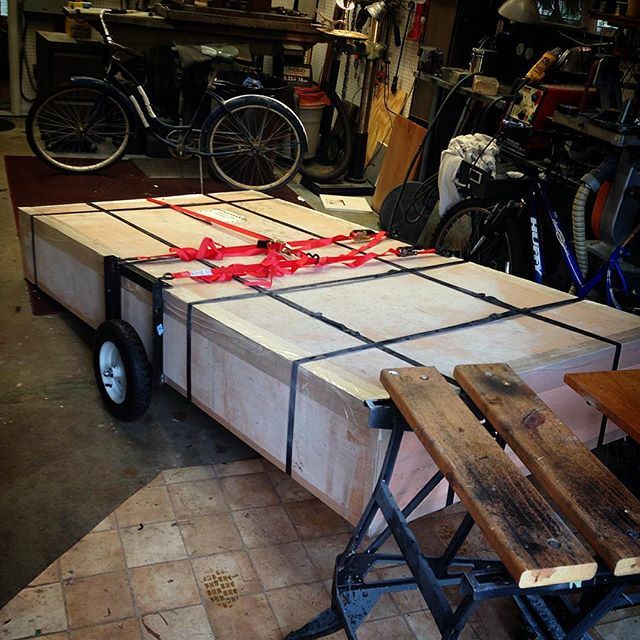 If you’ll recall, last year I built a Hexayurt for the Playa. It worked very well and I was much happier in the Hexayurt than I have ever been in a tent. 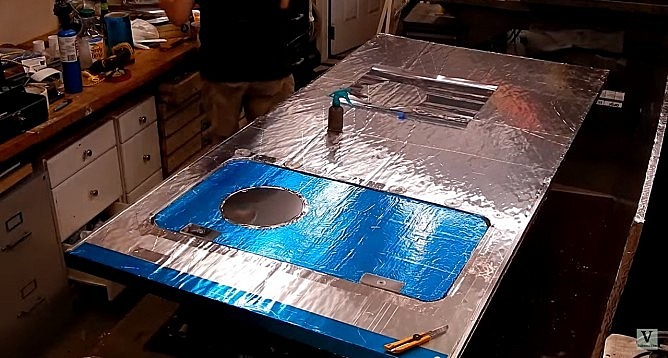 But I had painted the Hexayurt to cover up the logos on the polyisocyanurate panels. This turned out to be a big mistake! The paint adhered well to most of the yurt, but in some corners of the folding joints it flaked off. We had to moop with tweezers! So this year I’m building a Pentayurt with unpainted panels. This year I’m camping with Alternative Energy Zone at 3:45 and Ersatz so I will have to transport the yurt and my stuff about a mile from where it will be delivered to the playa. I built a strap-on bicycle trailer to enable that. 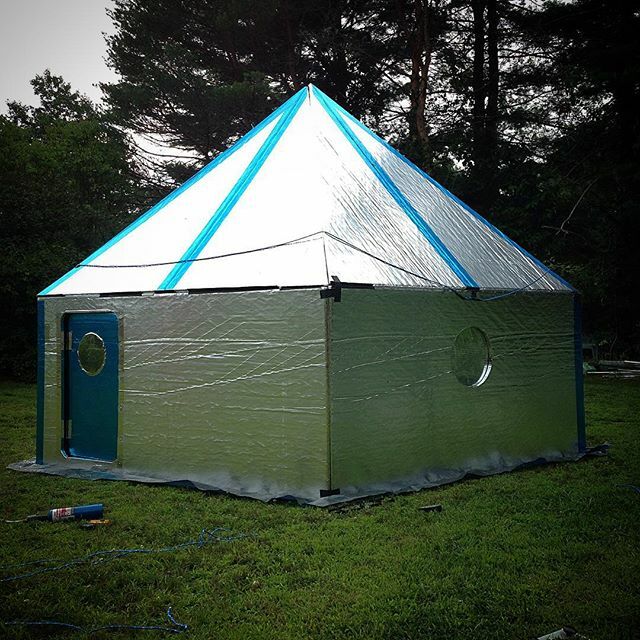 I re-used the door from last years hexayurt, covering it with blue mylar tape to make it match. Witness my pentayurt! Shiny and chrome! 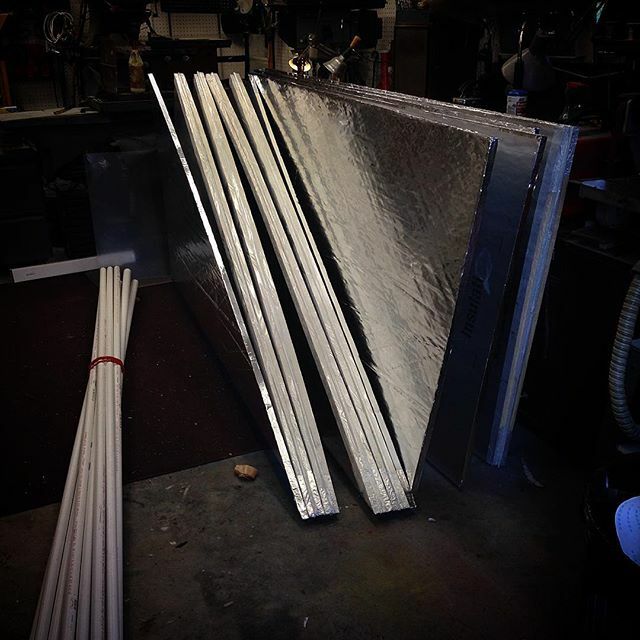 Unique things about this build are the use of aluminized mylar shielding tape to protect the hexayurt tape from UV radiation, and the fact that it is a Pentayurt rather than a Hexayurt. The Pentayurt and Monkeyhut on the playa looking a bit rumpled after sustain high winds. Both survived admirably! How did the mylar tape hold up? I’m thinking of taping my folding joints with tyvek for next year and then covering the tyvek with the mylar if it provides decent protection. 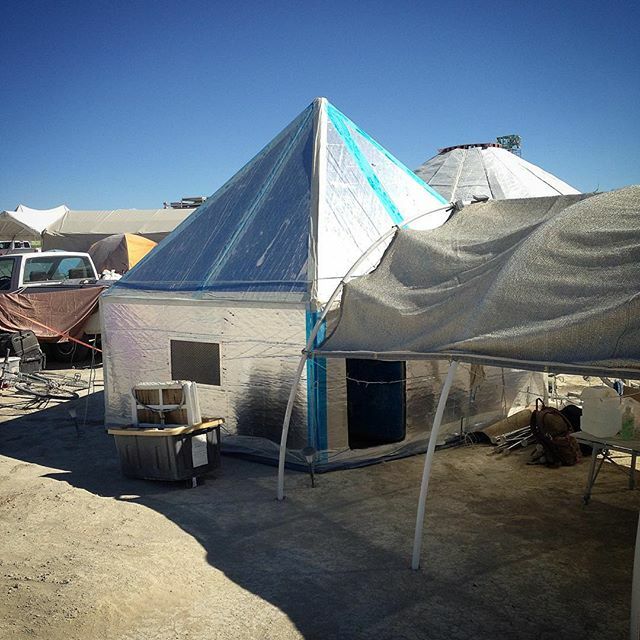 It held up well on playa, but I have not yet unpacked the yurt and cleaned off the hexayurt tape remainders. This is great. Thanks for documenting your build. I’m having a hard time finding some of the materials you used, particularly the steel strips. I think you said it’s part of a suspended ceiling? Could you post a link or where you bought it from?